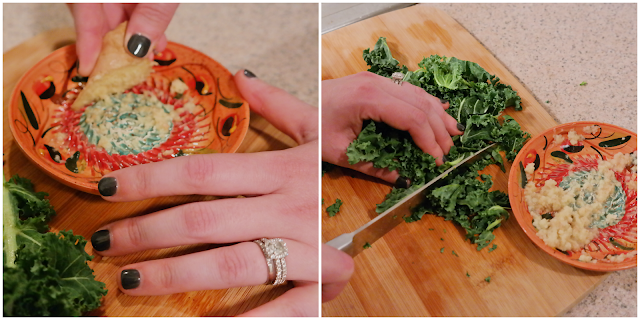 As much as Gary and I love going out to eat - we love cooking at home together even more. We always say how great it is knowing exactly what we're putting into our food and better yet, knowing the food is fresh. Eating is one my favorite past times...you know this if you've read any of my weekending posts! Something you might not know about me is that I used to be the worst cook ever - seriously I once asked my sister how to make instant mac & cheese...not my proudest moment. However, since being with Gary I've developed my cooking skills and with the help of Blue Apron, I've been able to create meals for the both of us that I seriously could have imagined even attempting. Since starting with Blue Apron, regardless of the day of the week we've been able to cook at home together because all of the meals take 40 minutes or less to prepare. That means we're sharing quality time together - which even though we aren't parents yet, it's still hard to find time to have moments together between work and all our commitments. Since three meals come with the delivery you're building in three date nights and the best part is not having to leave the comfort of your own home! Not only do we play music while we're cooking, but we also make it a point to eat at our dinner table, turn the phones and TV off and just be present with one another! If you want to see some of my past Blue Apron Recipes you can find them here, here & here. Also if you haven't tried Blue Apron yet, the first 50 readers will get two free meals on your first order, just click here. I think an intentional night at home is a great date night idea. I love cooking with MG--it's always fun to put something together as a team. Your dish looks super tasty! This looks so good! I love cooking, but lately it's all about things that I can make in a short amount of time. That meal looks so good! I've always wanted to try Blue Apron! I totally agree that sometimes cooking together at home is a lot more fun than going out. Plus, like you said, you know exactly what's going into your food when you cook from home. I've heard so many great things about Blue Apron, and I love that everything is perfectly portioned out for the right amount of people. I love cooking at home with Mike! We both specialize if different things and it's a great way to spend time together! I've been interested in trying Blue Apron for awhile!! It seems like an easy way to try new things but not have to waste so much in ingredients you use sparingly! YUM that looks delicious!! I used to be an awful cook too… still working on that haha. Yummm! Brian and I love cooking at home too. Turn the tunes up, pour a glass of wine and get to work! ah i love blue apron! 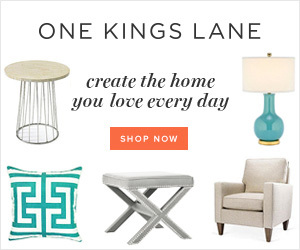 so many yummy recipes they have and i hear you can customize it more now! If i was home more than one night a week i would totally sign up again haha. great date idea for sure! 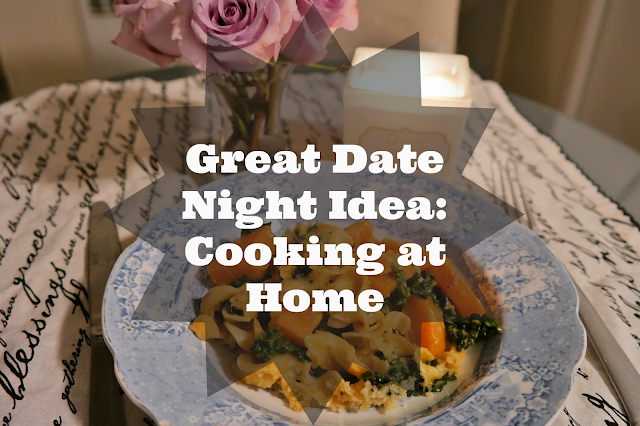 Date nights at home are some of the best date nights ever, especially when there is delicious food involved! The Mac and cheese! Hey it takes a certain type of person to make bomb Mac and cheese haha..!! Lots of people are getting the blue apron! Looks delicious! Love that point about if you both are cooking you both are doing the dishes ;-) We have that same rule in our household as well. I keep looking at Blue Apron and Hello Fresh, I haven't yet tried them out yet, thinking I may have to do it after all the holiday parties and etc slow down! It is so much fun cooking together...definitely takes the "work" out of cooking. And allows time to catch up. Love this! Love to cook with my man in the kitchen with wine and music! cooking together is the best!! crank up some music and you've got yourself a party. blue apron is such an awesome service. This looks so delicious! I love cooking at home...we are actually at the point now of never eating out haha! Dinner at home is the best date night ever :) I'm so glad that you've learned how to cook better and just enjoy it now. My mom taught me a bit of cooking, but Kyle is definitely the chef in our house, but like you, being with him (Gary for you) he's taught me several new cooking related techniques. I have still yet to try one of these companies, but I love the idea! After the holidays, when I am so sick of cooking and baking, I know I'll give it a try. This dish looks AMAZING! My bf and I love blue apron!! Love this! Your meal looks delicious and we keep talking about trying Blue Apron! We're enjoying staying home more and more lately and doing little things to make it special too - it's fun working together in the kitchen! I've heard so much about Blue Apron, sounds like such a great idea! My husband works most evenings so this might be something really nice for us to do together on the nights he doesn't have to work. I can just picture you two in the kitchen :) How cute! I do think cooking together at home can be a great darte night! For our christmas date this year we are baking cookies together and I am so excited hha! That looks really good. I wish they had a single option, alas I'll have to wait until I have someone coming over regularly for meals! Griffin and I absolutely love cooking together! Your recipe looks like it turned out amazing! I definitely need to check out blue apron! All of their meals look so tasty and simple! I love cooking with the music going and talking while it's all going on! Looks and sounds delish. I love all of the ingredients that go into this recipe. Yummy and perfect for date night with plenty of leftovers! This looks super delicious, Biana! I've heard about Blue Apron, but have never tried out their services, but I think I will because their food looks and sounds great! Thanks so much for sharing and I hope you have a wonderful day ahead, beauty! I love Blue Apron. It's such a genius idea and their recipes are always amazing! Jared and I LOVE cooking together- even in our teeny kitchen we make it work! ;) All this food looks absolutely delicious. I've heard great things about Blue Apron! My husband and I cook together for most meals. We bought a cookbook when we got married and learned. I've heard amazing things about Blue Apron, so it's on my list of things to try in 2016! my roomate does blue apron and i do hello fresh...and we share! it's so fun. Love this idea! Cooking with your SO is a great date night! Cooking meals together is hands down one of my favorite parts of our relationship. I've debated trying Blue apron in the past and am wondering if it's worth the cost. It honestly might make life easier to have ingredients/recipes delivered to our door once this little baby arrives. That recipe looks amazing!!!!!! I love cooking now, but I was like you....I didn't become a domestic goddess until I moved in with Chris. Prior to him, I had cereal or crackers and cheese for dinner. Haha! I love when K and I cook together. It really is a great time to connect. That meal looks awesome! I've heard of a similar company but for the life of me I can't remember the name of it... which is perfect because I've been wanting to look it up online but now I can just look up Blue Apron! Such a good concept! I have heard so many good things about Blue Apron! It sounds like a really cool concept. What you made looks so delicious! This looks sooo good!! I really have to try out Blue Apron. My husband and I like to cook together on Saturday nights and this seems perfect. You and Blue Apron! This looks good too, just like everything they send you. Hubs just saw an ad for it on TV and said, "we should get that after the baby comes!" Oh what fun! That meal looks amazing!!!! My boyfriend and I are crazy and do both Blue Apron and HelloFresh haha, and we love the meals we've been making! Also it totally is improving my cooking skills! This post made me miss our Blue Aprons-- looks delicious! We've been skipping them because there haven't been three meals we like, which is a bummer, but it's too much of a waste not to like all of them. At home date nights are so much fun! I love date nights at home! This sounds super fun too...and I'm not the best cook so this would be great. LOL! The meals looks delicious! Cooking together is one of my favorites! bahaha if it makes you feel better, i had to google how to make mac n cheese, because the directions on the box confused me and i didn't want to mess it up.